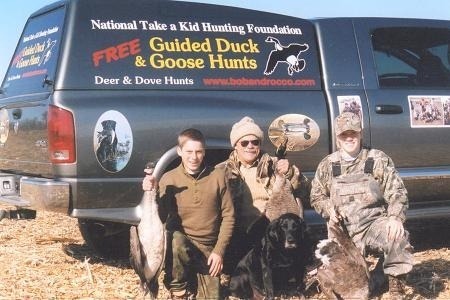 The Take a Kid Hunting Foundation was started in the mid 1980's by Robert Pucci to give young persons a chance to participate in Wisconsin outdoors activities who had little knowledge, opportunity or resources. Bob funded this program through his well-branded Bob and Rocco Gun Shows and Badger Military Collectibles Shows. Throughout the years of organized hunts, thousands of young boys and girls were given the opportunity to learn and enjoy goose/duck hunting. 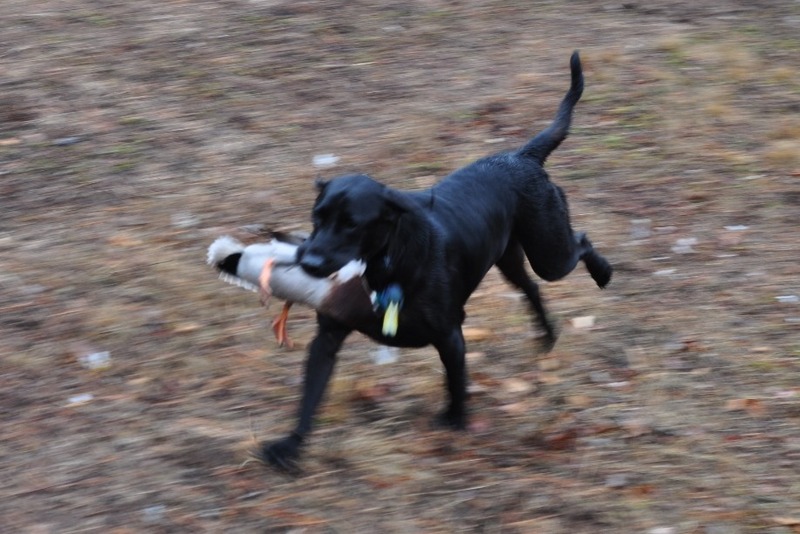 This program lasted for over 25 years in the Horicon Wildlife Refuge with the help from our famous & beloved black lab, Rocco. Unfortunately, the wind turbines stopped the hunts due to becoming an optical barrier to waterfowl. Bob then moved his program to the Ladysmith, WI area where he hosted free guided deer and bear hunts. He did this for 8 years until he started developing health problems which ceased operations. After a few years passed, Bob searched for a property and acquired a ten acre lake situated on a 60 acre partially wooded parcel located near Pittsville, Wisconsin. That's when the work began. Because most of the fish had been frozen out, two windmill aerators needed to be installed and the lake was recently re-stocked with thousands of walleye, bass, perch, crappies, blue gills and catfish. Additionally, a program of minnow stocking, catch and release fishing (to maintain and replenish the habitat) was implemented. 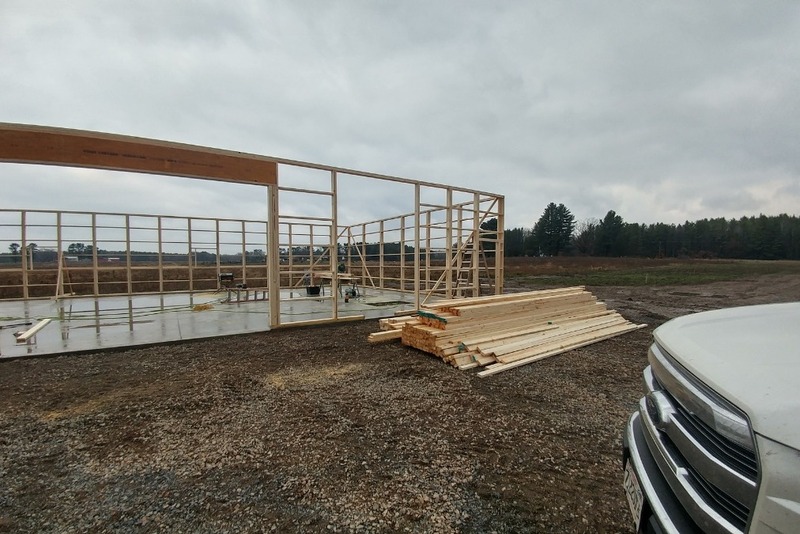 Bob's goal is to have a recreational/training area for hunting, fishing, canoeing, kayaking, paddle boards and beyond. A priority goal is to have a fishing recreational area for our wounded/disabled Military Veterans and kids with disabilities. Installed is a handicapped friendly fishing pier and a facility with handicapped friendly bathrooms/showers to accommodate Disabled American Veterans. 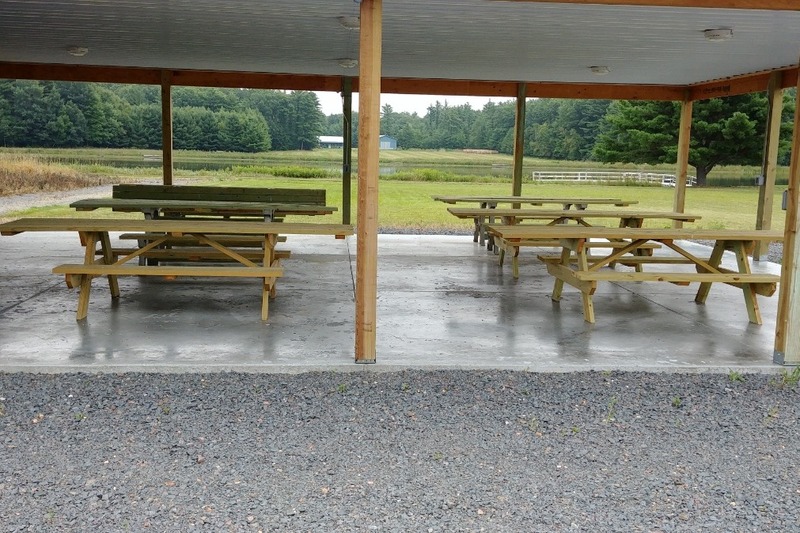 A pavilion is also available which have wheelchair accessible picnic tables with a kitchen to serve our Vets, kids with disabilities and their families! Also developed is an expanding five acre campground for scouts, both boys and girls, complete with fire pits and plenty of room for tents of any size! Bob affectionately named this area 'Camp Neal' after the man who developed the lake property. 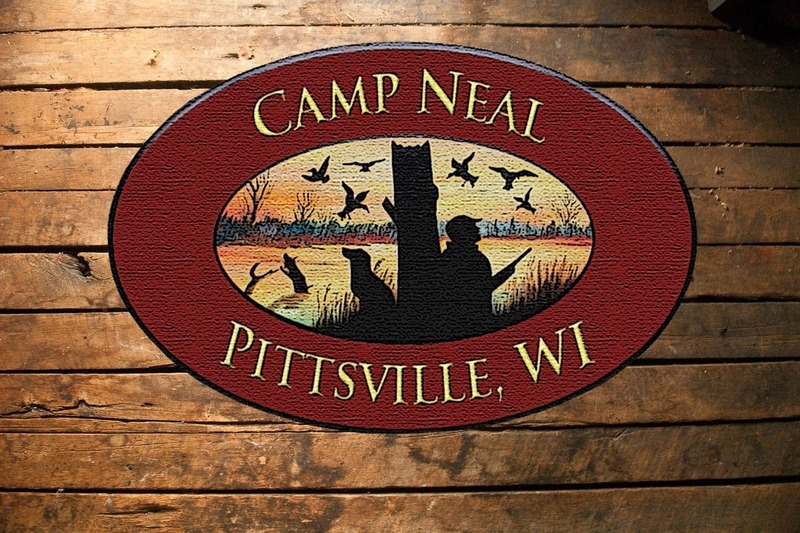 The next phase for Camp Neal is to build the Take a Kid Hunting Foundation Museum to house his collections of over fifty years which he has donated to the foundation. This elaborate collection will include one of the largest WWII toy collection, extensive original wildlife, western, and Native American paintings of many different Indian tribes. On display will be bronzes, carvings, pottery, baskets, showing how they lived in the 1800's. Highlighting the Museum will be a very large taxidermy collection of acquired, exceptional full-mount North American and African Hunt Trophies. Also on display will be Bob's gun collection of both double barrel rifles/shotguns, machine gun collection, custom Bowie Knife collection and artifacts of his many, adventurous travels helping others fight for their freedom. No donation is too small. 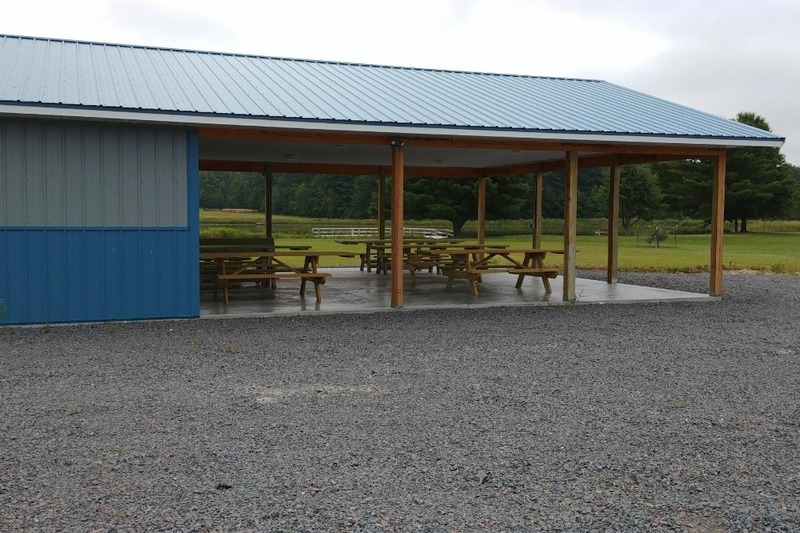 Our Bob and Rocco Gun Show Events certainly gave us a great start with funding this facility, but we need more financial assistance than our events are able to provide. Thank you for helping our disabled American Veterans, their families and under privileged kids enjoy this great facility! Click here to visit our site!